Simple deeds, immense rewards; words defining many of the sunnan of the Prophet (sallaAllahu alayhe wasallam). Despite their ease, we sometimes fall short in acting upon them, usually for no other reason but the need of a reminder. A reminder of both the deed and the promised reward is what it takes for many of us to revive a sunnah in our lives. The Prophet (sallaAllahu alayhe wasallam) says that Allah says, "And My servant continues to draw nearer to Me with supererogatory (nawafil) deeds until I love him." (Bukhari). The promise of Divine love is certainly enough to motivate us to return to some of the neglected or forgotton sunnan of our Messenger (sallaAllahu alayhe wasallam). The most effective revival is to make an effort to implement at least one sunnah and be an example to others. No matter how much we preach and write, in the end it is action that counts. Siwaak - A twig that earns the pleasure of Allah and was beloved to His Messenger (sallaAllahu alayhe wasallam). When Aisha (radhiAllahu anha) was asked about the first thing he would do upon entering his home, she replied, "When he entered his house, the first thing he would do was to use the siwaak." (Muslim). The Messenger of Allah (sallaAllahu alayhe wasallam) said, "Siwaak cleanses the mouth and pleases the Lord." (Bukhari). If you have one, use it now and please your Lord. Carry some with you and gift them to those you love. Wudu before Sleeping: Want an angel to supplicate for you while you sleep? The Messenger of Allah (sallaAllahu alayhe wasallam) said, "Purify these bodies, and Allah will purify you. Whenever a slave spends his night in a state of purification, an angel spends his night within his (slave's) hair and he does not turn over during the night except that he [the angel] says: O Allah, forgive Your slave, for he went to sleep in a state of purification." (al-Tabarani, graded 'good' by Al-Albani). Performing Voluntary Prayers in One's House: Jabir related that the Messenger of Allah (sallaAllahu alayhe wasallam) said: "If one of you has finished the prayer in his mosque, let him make a portion of his prayers for his home, as Allah will certainly put goodness in his home from his prayer." (Muslim). In another hadith, "A person's salah in his house is better than his salah in my mosque, except for the fard (obligatory) salah." (Abu Dawud). whoever goes in the third hour, it is as if he sacrificed a horned ram; whoever goes in the fourth hour, it is as if he sacrificed a hen; and whoever goes in the fifth hour it is as if he offered an egg. When the imam comes out, the angels come to listen to the khutbah." (Agreed Upon). When rain descends from the sky, it is your chance to turn to Allah, asking Him for everything you desire from the good of this life and the Hereafter, for yourself and those beloved to you. The Prophet (sallaAllahu alayhe wasallam) said, "Two are the du'as that are never returned: the du'a made when the prayer is being called, and at the time of rainfall." (Abu Dawud). Even in drinking milk, we have an opportunity to earn reward through following the sunnah. Greeting youngsters with salaam: Anas bin Malik (radhiAllahu anhu) used to always greet the children as he passed them, saying that he did so because he had observed the Prophet (sallaAllahu alayhe wasallam) doing the same. (Agreed Upon). Anas reported that a man was with the Prophet (sallaAllahu alayhe wasallam) when another man passed by and the former said: "O Messenger of Allah! I love this man (for Allah's sake)." The Messenger of Allah (sallaAllahu alayhe wasallam) asked, "Have you informed him?" He said, "No". 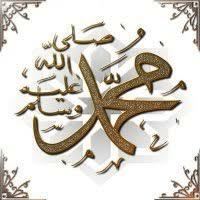 The Prophet (sallaAllahu alayhe wasallam) then said, "Tell him (that you love him)." (Abu Dawud). What a beautiful sunnah that is sure touch the heart of your beloved brother or sister and brighten up their day! "Whoever revives a Sunnah from my Sunnah and the people practice it, will have the same reward of those who practice it without their reward diminishing." (Sunan ibn Maajah, ). Look over the butterflies' wings in the picture on the left as if you were seeing them for the first time. Surely you will be filled with admiration for such an aesthetic display, a symmetry that is without the slightest flaw, the dazzling colors and patterns. Now think of a piece of cloth. Assume that it is a very beautiful piece of cloth of good quality that has been woven with the inspiration of these butterflies' patterns. What would you think if you saw such a piece of cloth in a shop-window? Probably, the existence of an artist, who has drawn the patterns of this cloth, taking the wings of a butterfly as an inspiration while drawing them, springs into your mind, and you appreciate his artistry. In this situation, you should also appreciate this fact: the artistry you admire doesn't belong to the person who draws the cloth pattern, taking butterflies as his example, but to Allah, Who is the originator of the patterns and colors of butterfly wings. The colorful wings of butterflies with their wonderfully varied patterns are magnificent manifestations of Allah's artistry in color. Just as a pattern on a piece of cloth does not come into being by chance, so is the color and pattern symmetry in the wings so perfect that they could not have come into being coincidentally. Like other insects, the butterflies also have a skeleton that covers the outer surface of their bodies. This outer or exoskeleton is composed of hard plates connected by soft tissue, looking like some sort of armour. The hard material is called "chitin." The formation of this layer comes about through a very interesting process. As is commonly known, caterpillars pass through a rather complex process called metamorphosis. The caterpillar first becomes a pupa and then turns into a butterfly. Throughout this process of metamorphosis, slight changes occur in the wings, antennae, legs and other body parts. Also, the cells in different key areas such as the flight muscles and wings re-organize themselves through every phase of metamorphosis. Furthermore, along with these changes, almost all systems in the body -the digestive system, excretory system, respiratory system etc.- go through a process of immense change. It could have been the splash of red or the overabundance of hearts or the young man in a designer jeans that caught his eye, but Sheikh Hamaad stopped under the bold "Valentine's day Specials" banner, set his shopping basket on the floor and watched the young man battling to select an appropriate gift from the heaps of hearts, teddy bears and chocolates. Like a busy humming bird he flitted from shelf to shelf struggling to choose. Sheikh Hamaad approached him as he stood scratching his head, "Asalaamu Alaikum, young man, seems like you're battling to make a choice." "Eish, Moulana, this is more difficult than I though. And lucky I only have to choose for two of them," he said, picking up another heart decorated teddy bear, examining the price and putting down with disappointment. "For your sisters?" Sheik asked, feigning innocence. "Naah, just friends, you know how it is. You have to do these things" came the prompt reply. "Tell me, how many Valentine's gifts do your sisters receive?" "Hey, hey.... Moulana my sisters are not like that. They don't do this boyfriend thing. My sisters...they are pure," exclaimed the young man an angry frown crossing his face. "Just let the guy try and send my sisters one flower and I'll make him eat it. You don't know me!" "Oh," said Sheikh Hamaad without any apology, "And your mother, how many Valentine's gifts does she get?" The young man took a step back and glared at Sheikh Hamaad, "La howla wa...." his words swallowed by his anger, "how can you even say such things about my mother? My mother, she doesn't do this stuff. She is like an angel. She is pure. How can you say this?" Sheikh paused, waiting for the silence to absorb the boy's anger, then said, tauntingly, "So they don't receive any Valentine's gifts or have boyfriend's at all." "I told you, Moulana, my family is pure and they don't do this junk stuff." Knowing the moment was right Sheikh but forward his reasoning, "So you really don't like your sisters receiving these gifts or having boyfriends." "No ways," came the emphatic reply, "not on my life"
"Then don't you think," Sheikh ventured, "that other people would also not like their sisters, mothers or aunts to receive such gifts. Just as you would like your sisters to remain pure, they would also like their sisters to be pure?" The young man dropped his head and shifted his feet nervously, "You have a point, Moulana. Didn't ever think of it like that. I don't want to say...but you are right. I shouldn't be polluting other people's family if I don't like my family to be polluted. This is all quite wrong isn't it?" "Yes, it's quite wrong," without a hint of reprimand in his voice, "this is not our way." "But," he asked, trying to conceal his embarrassment, "It's not like we doing anything serious. I mean it's only a gift. Not like we doing something physical...so it should be ok, no?" Without disturbing his calmness, Sheikh Hamaad replied, "Do you like to go fishing?" "Now you talking my language. Not a Sunday, not one, that we not by the dam," he replied his hands waving with excitement, "We sit the whole day me and my buddies. First we prime the place with milie bombs. Just so the fish know we there. And they come, Moulana. They come for the bait. The whole lot, man....curpe, bass, barbell, you name it. But what's that go to do with buying gifts." "When Shaytaan wants to trap someone," Sheikh replied serenely, "he first puts some bait. Innocent stuff like gifts, the odd sms, just a hello and then when the time is right ....he will strike and how you say...you fall hook, line and sinker. Then he's got you and it's not long before he reels you in. So it starts with just a little bait. Just like the little gift that seems so innocent – it's the bait." The young man beamed with this new found revelation and couldn't wait to ask, "You are so right! And you have an amazing way of getting a point across Moulana, you didn't just lecture me but you showed me how it is wrong. Thanks a mil. You must have learnt from a great teacher?" "No doubt, I learnt from the best of all teachers," Sheikh answered, "In fact, the best of all mankind...The Noblest Messenger of Allah- Rasulallah sallahu alaihi wa salam"